The Chrome already has a pretty decent password manager built in which is my go-tool to manage my online passwords. But do you know that it also come with a hidden password generator as well? Here is how you can enable and use it. Open Chrome, type the following address in the address bar and hit Enter. 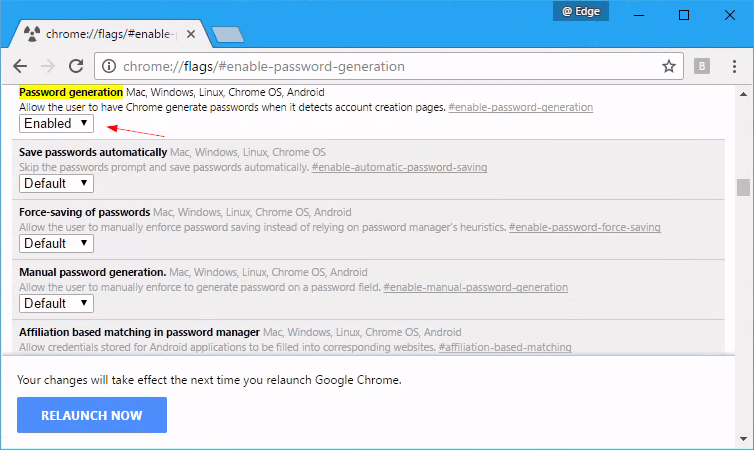 The Chrome’s Flags page opens up with the Password generation setting showing at the top. Change the setting to Enabled from the drop-down list, and click the Relaunch Now button at the bottom of the page to restart the browser. 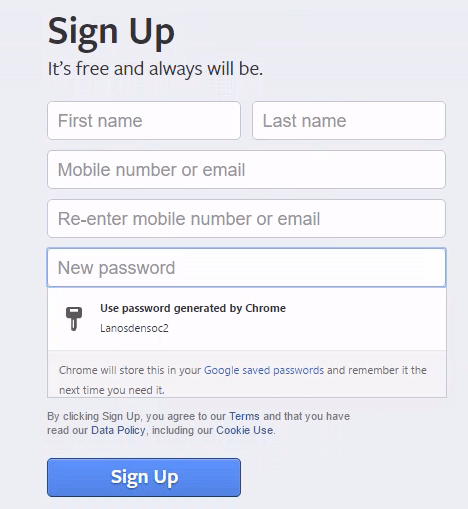 Now, when you are at a sign-up form next time on a website, you will be prompted with an auto-generated password as soon as you click into the password field. It works on the sites that work with Chrome’s Password Manager and Auto-Fill, which most of them do. If not, you will still need to come up with your own password. I’ve tested this on a number of sites, and it works very well. With the combination of the password generation and password manager, it makes things a lot easier using a secure password without worrying about ever forgetting about it. It’s a useful feature, but the passwords generated are too short. I’d prefer it generated passwords of the maximum possible length for the field. haha…yes, I wish that too…but so far, 12 characters mixed with numbers and capitals are good enough for me.